RSL notes • Defender to be evaluated by team after going down in All-Star Game. 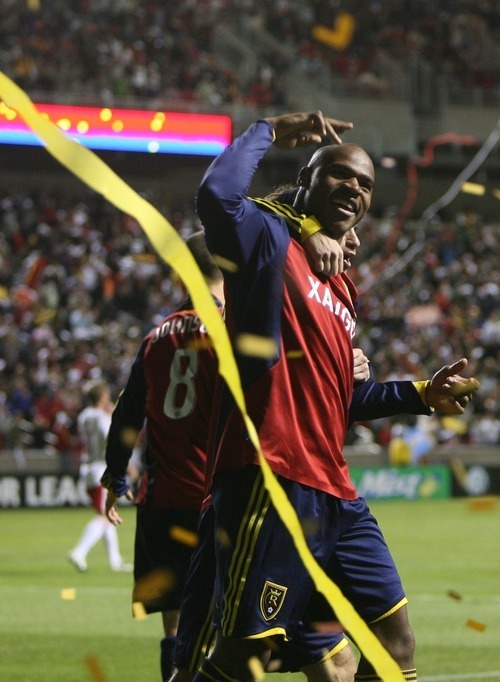 It wasn't when Jamison Olave went down in the MLS All-Star Game that worried Real Salt Lake coach Jason Kreis  it was when he didn't get back up right away. "He'll typically go down a few times a game, but he usually can walk it off," Kreis said. "It's sort of a nightmare scenario when an injury happens in those kinds of games, but it's part of playing the game." Olave's left-knee injury in Wednesday night's All-Star Game in New York puts one of RSL's top defenders in limbo for Saturday's game against the Columbus Crew. A preliminary examination in New York indicated Olave might have a sprain that could keep him out for up to two weeks, but general manager Garth Lagerwey said team doctors would examine him Friday for a final determination. If Olave misses Saturday's start, defenders Rauwshan McKenzie and Chris Schuler would be expected to step up in the All-Star's place. When rain forced the Vancouver Whitecaps FC to postpone their July 16 match with RSL, the team didn't hide its disappointment about flying all the way out to Canada for a game that didn't take place. The game has been rescheduled for Thursday Oct. 6 at BC Place, where renovations will be complete by the new date. The game is sandwiched between away games against Los Angeles on Oct. 1 and Colorado on Oct. 14. It adds a bit of extra travel for an already road-heavy schedule in the second half of the season: Nine of RSL's final 13 games will be away from Rio Tinto Stadium. "We had input in the sense that we had a choice of the least-worst date," Lagerwey said. "No rescheduled date is considered favorable because it backloads our schedule, but we'll go out there and try to win it." With Bob Bradley's sudden firing as head coach of the U.S. Men's National Team on Thursday afternoon, Kreis' name cropped up among the pool of potential replacements. But Lagerwey and team spokesman Trey Fitz-Gerald said RSL had not heard from U.S. Soccer about the possibility of making Kreis the new USMNT head coach. Federation president Sunil Gulati was expected to announce Bradley's successor as soon as Friday. The last several coaches have been pulled from the elite of the MLS ranks, and Kreis fits that bill as an MLS Cup winner. But at 38, Kreis is still early in his career, and several media outlets were reporting that foreign coaches were among the top candidates. Forward Artur Aghasyan has been released from the team to make room for forward Chris Argorsor. Aghasyan, a 24-year-old Armenian native, was picked up by the club in May and made one start during his tenure with the team.